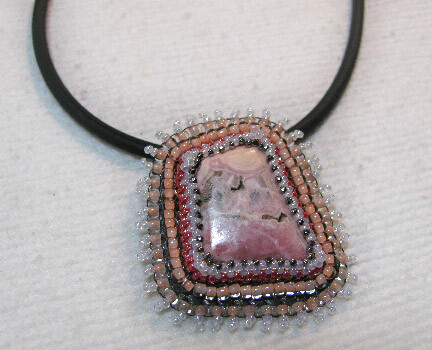 Beading Arts: Learn bead embroidery with easy pendant projects! 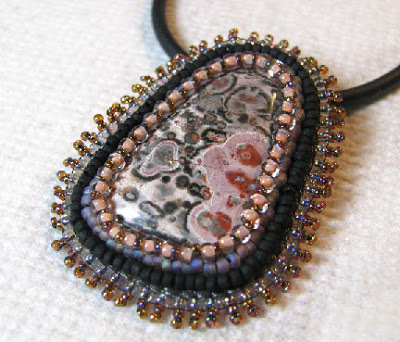 If you've been wanting to try bead embroidery, but the thought of making a bit 40 hour piece is just too daunting, why not try one of these smaller pendant projects instead? They come together relatively quickly, and the basic techniques used will boost your confidence to maybe one day try a bigger piece! Let me be the first to say...your tutorials are so well written that a beginner can certainly create a work of art!!! I reference your ebooks from time to time even for my art quilts when adding beads! These pendants are wonderful with the addition of beads!